Magnesium alloy is utilised, realising a sturdy, lightweight body that facilitates handheld viewing. Employing Abbe-Koenig prisms enables a slim design that carefully pays attention to weight balance. 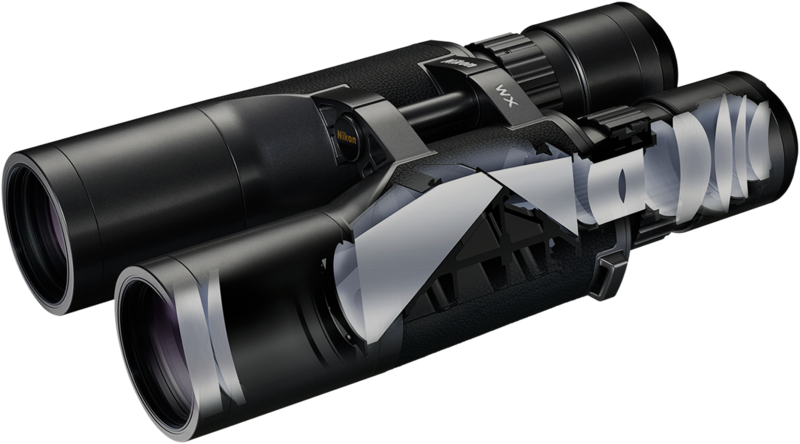 Optical design that realises both a super-wide field of view and long eye relief. Eyeglass wearers can also enjoy a full, clear super-wide field of view. 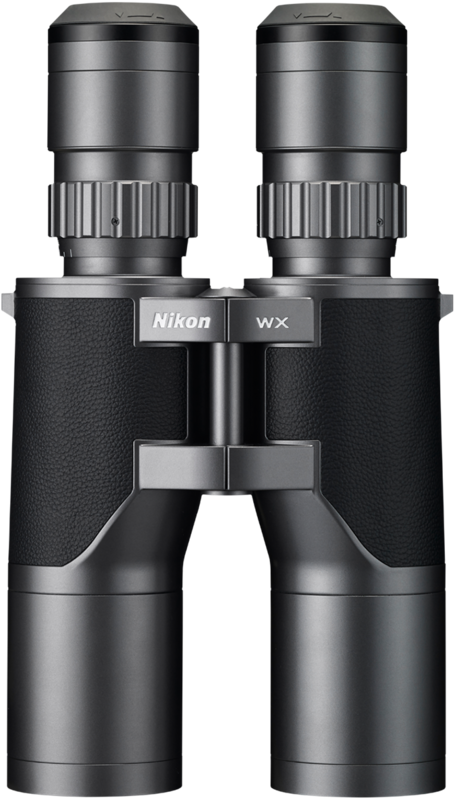 Rubber eyecups are designed to be removed for cleaning eyepieces. 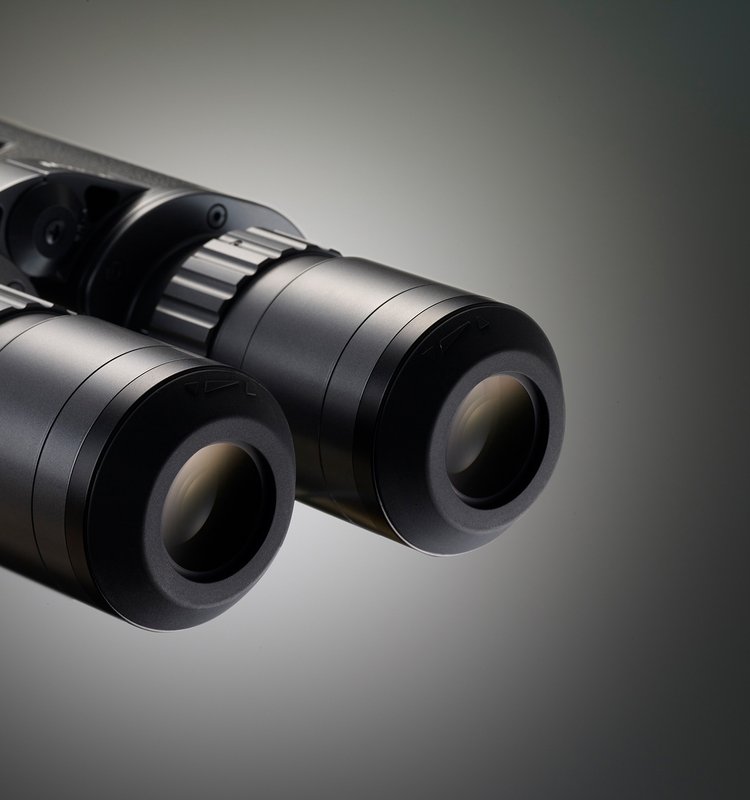 Eyepiece frame is designed in a flat shape for easy maintenance of details. 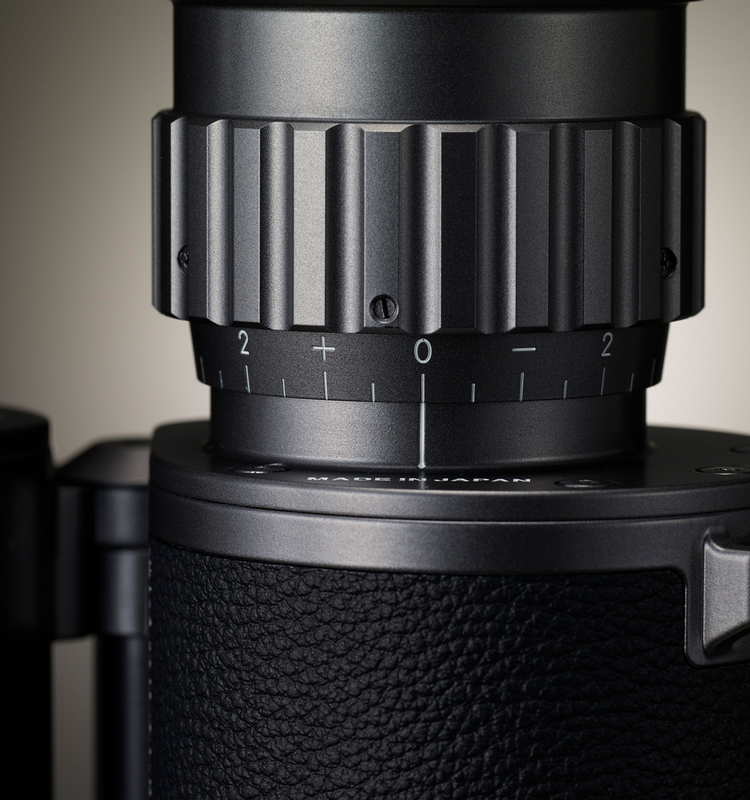 Click intervals become finer as the eyecups are extended, for easier adjustment by non-eyeglass users. The dioptre adjustment ring employs a straight helicoid design. 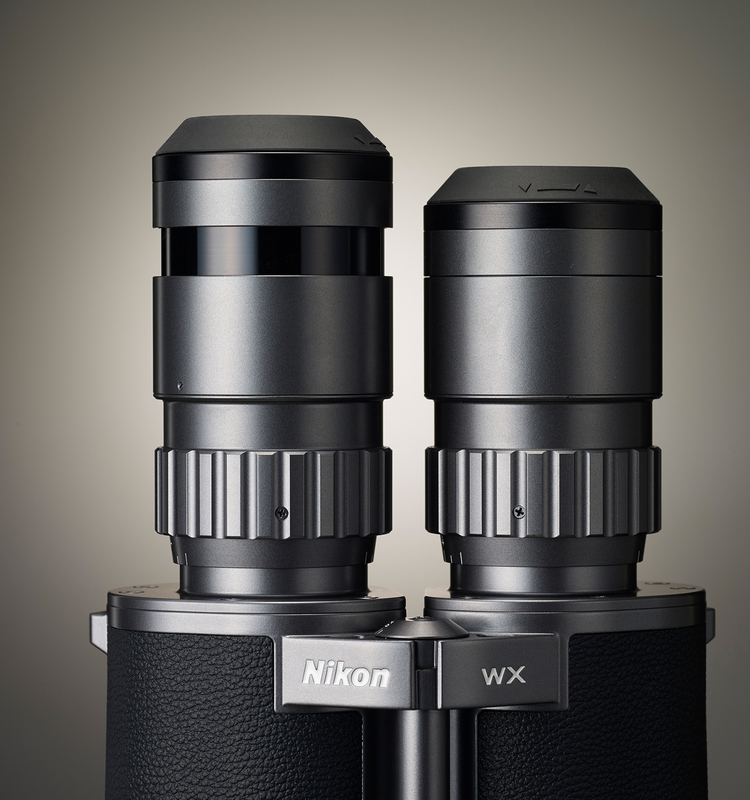 Eyepieces move back and forth in a straight line, and the lenses themselves do not rotate, ensuring the optical axis is not decentred during dioptre adjustment. 55mm filter (P=0.75) can be attached to objective lens. 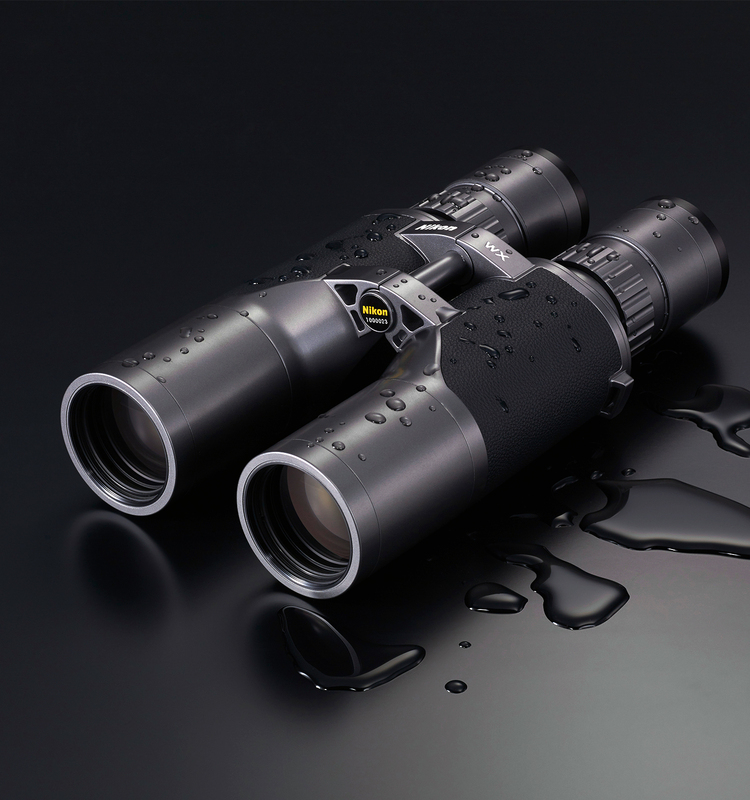 Under the Nikon Green Procurement Standards, we employ not only lenses and prisms but also body materials taking the environment into special consideration. 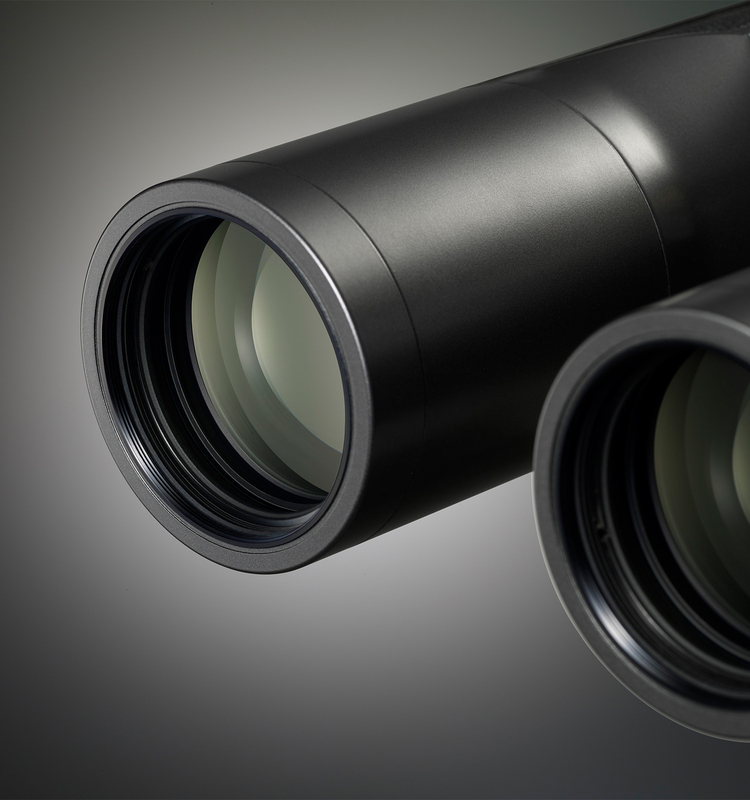 Airtight structure with a nitrogen-filled body that prevents the inside of the optical system from fogging and resists mould even with significant changes in temperature. Wide operating temperature range of -20°C to +60°C/-4°F to +140°F enables use in severe conditions.